Finally, a fresh approach to haircare - skip the pretense, get straight to products that do what your hair needs. ELEVEN Australia collaborated with Co-Creative Director, Joey Scandizzo - hair stylist and Australian Hairdresser of the Year, three time winner.Working on the salon floor, photo shoots and runway shows, he felt the need for a range his staff and clients could easily understand. In 2011, the ELEVEN Australia Miracle Hair Treatment was born, and now ELEVEN Australia is 42 hair-loving products and still growing. What is the ELEVEN Australia Miracle Hair Treatment? An all-in-one hair treatment with eleven different benefits, and a must-have for every hair type. The lightweight formula is enriched with Australian desert lime, wattle seed and desert peach to nourish hair. This treatment can help add shine, smoothness and softness, control frizz and flyaways, add strength to fragile hair and prevent split ends. It also helps detangle hair, adds heat protection, enhances natural body, repairs damaged hair, protects hair colour and ensures that hair is hydrated. Why does everyone love ELEVEN Australia? By pairing high performance ingredients with simple, easy to use products, ELEVEN Australia was born. Created for everyone, everywhere, ELEVEN Australia is as effective as it is straightforward. When two Aussie icons came together, what they invented would change the Australian hair scene forever. 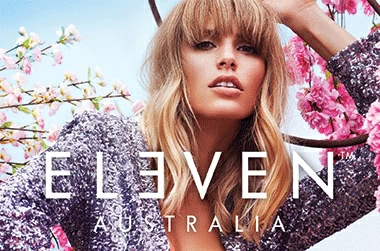 Adore Beauty is an official stockist of ELEVEN Australia. Free shipping on Australian orders. Read genuine customer reviews and Afterpay on all orders. Showing 20 products of 44.